We invite you to enjoy an authentic taste of the Tuscan countryside. Walk down a vine covered arbor, surrounded by a walled Olde World fireplace and enter a garden lush with lit trees and flowering greenery. 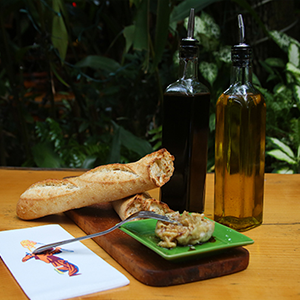 the garlic offers one of the most beautiful settings for a delightful and memorable dining experience. 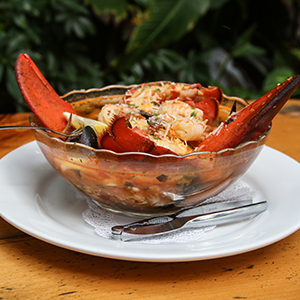 We offer great food, live music, fine wine, Italian beer and specialty martinis. Come experience the garlic and blu bar for yourself. Whether you wish to dine indoors or out, delight in a relaxed, easy atmosphere filled with taste-tempting aromas and good music. 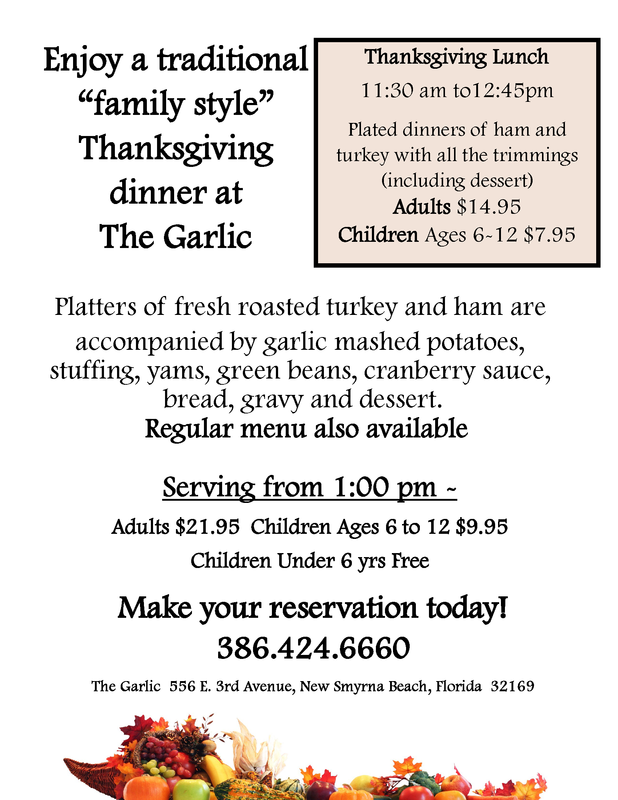 the garlic features a comprehensive wine selection, innovative daily specials, and, if you wish, “lots of garlic”. 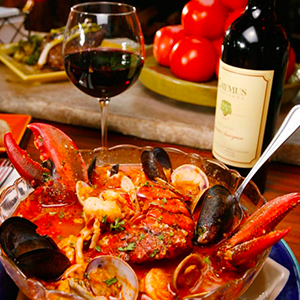 Chef Perri chooses Cioppino, a seafood stew, as his signature dish. View The Daily Noodle along with a few of our recommended specialties below. Enjoy nightly entertainment from the best local performers. 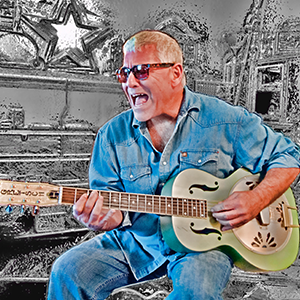 Our talent includes Mark Hodgson, Amy Alysia, Johnny Mag Sax and Joey Harrison, to name a few. Enjoy your next party with a personalized wine & food menu created by our Executive Chef and our in house wine specialist. Schedule your event today. Browse our photo gallery filled with some of the garlic and blu bar's signature dishes, specialty martinis, luscious gardens and lit ambiance. Should you have a party larger than 10 but smaller than 18, please contact the restaurant at 386.424.6660 for a reservation. We do not take reservations via email. Otherwise, all parties are seated on a first come first serve basis. We do accept reservations for all party sizes on holidays such as New Year's Eve, Valentine's Day, Easter, Mother's Day, Thanksgiving and Christmas. 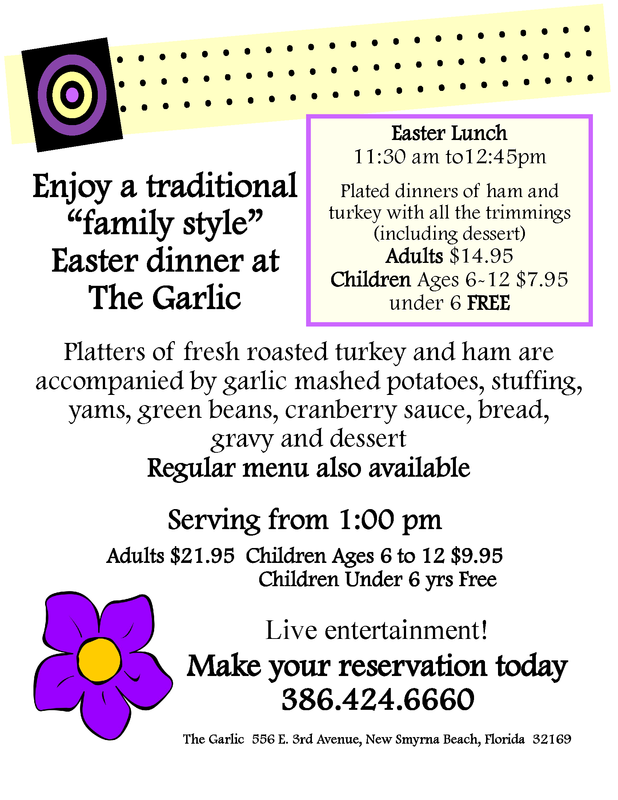 Parties larger than 18 will only be available Sunday through Thursday and will need to contact the banquet manager at Garlicbanquets@gmail.com for information. We are unable to do any large parties in the months of March and July. The Garlic gift cards are a welcome gift any time of year. Download our FREE MOBILE APP today and connect with us on Facebook, Instagram and Pinterest.